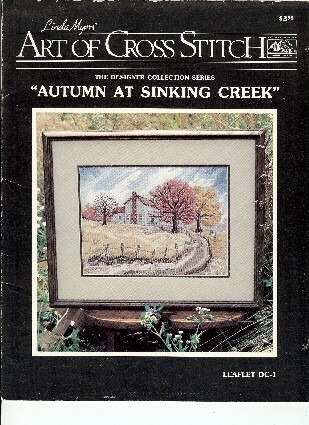 Art of Cross Stitch Autumn at Sinking Creek Linda Myers counted cross stitch leaflet. The Designer Collection Series. Stitch count 160 x 210. Shelf wear along edges. Sticker on cover.